The upcoming Google Pixel 2 has been crafted so well that it can beat out the entire competition. The Rumors about Google pixel 2 are so much strong about it; Google might have a winner on their side. Google might acquire a revision of the high-end Snapdragon 835 system-on-chip (SoC) for their pixel. 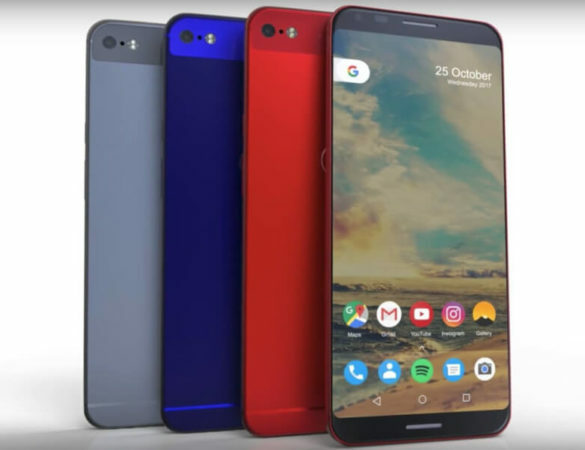 Yes, you heard it right; Google Pixel 2 will be the first smartphone to be powered by the Snapdragon 836 not only this additionally you will also get the Google latest Android O Upgrade right out of the box. The sources didn’t specify whether that particular piece of silicon will be featured in the Pixel 2 and Pixel 2 XL, the Snapdragon 836 will be relatively similar to its predecessor in terms of hardware but will feature higher peak GPU and CPU clock speeds than the Snapdragon 835. Snapdragon 835 is the Qualcomm’s first 10nm SoC was equipped with eight Kryo 280 cores clocked at a maximum frequency of 2.45GHz, as well as the Adreno 540 GPU, it successor also to support the same configuration but with higher GPU and CPU making it more energy-efficient as the Snapdragon 835 in everyday use. The Pixel 2 and Pixel 2 XL will also have pressure-sensitive frames much similar to the Edge Sense technology just like in HTC U11. Well, the new pixel 2 will be $50 more expensive than the first Pixel Smartphone. YU Yunique 2 vs Xiaomi Redmi 4A; Who is the King in Budget Segment?